Meryl Streep — she’s just like us! OK, not exactly. But in at least one way, Streep has something major in common with plebes like us: a healthy obsession with Big Little Lies. She admitted as much on Friday at the Television Critics Association winter meeting, confessing she was totally hooked on the series prior to joining it as a star for the upcoming second season. Streep naturally got a part, and an important one to boot. 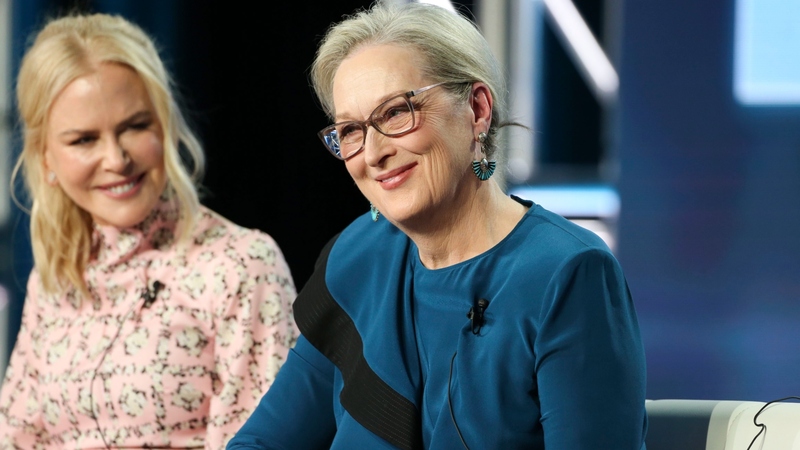 In the seven-episode second season, Streep will play Mary Louise Wright, the mother of now-deceased abuser Perry, who was married to Nicole Kidman’s Celeste. Liane Moriarty, who wrote the novel upon which the HBO series was based, created the character of Mary Louise. This strong female camaraderie has been on full display since the first season of Big Little Lies aired, and the momentum remains strong coming into the second season — which now finally has a release month! Per HBO, the series will return in June. While that is undeniably good news for fans, it’s tinged with uncertainty over the show’s future. Will there be a third season? Then again, as executive producer Witherspoon pointed out, “That’s what [he] said last time.” And shortly after that, co-executive producer Kidman chimed in and seemed to imply that Big Little Lies and its so-called “Monterey Five” circle might not be done just yet.